The New Zealand Tourism Industry Stamp of Quality. 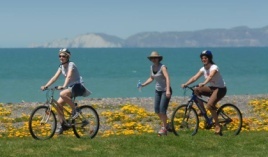 Qualmark® is New Zealand tourism's official mark of quality. The Ballina Motel is proud to annually undertake a rigorous independent quality assessment of its business, facilities and services by Qualmark New Zealand Limited (New Zealand Tourism's official quality agency) which grants licences to professional and trustworthy New Zealand tourism businesses to use the Qualmark® endorsement. 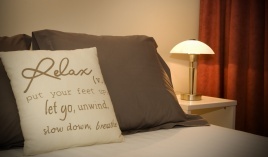 Our rating is intended to show you, the traveller, the type and standard of rooms we provide, and the range and quality of facilities and services offered. Our Qualmark® rating of "Four Star plus" (Excellent), shows you, the traveller, that the Ballina Motel "consistently achieves high quality levels with a wide range of facilities and services" in providing self contained and serviced accommodation, so you can book and buy with confidence. Qualmark New Zealand Limited is New Zealand tourism's official quality assurance organisation and operates as a service for the New Zealand tourism industry. Qualmark is owned by the government organization Tourism New Zealand and the privately-owned New Zealand Automobile Association, and is strongly supported by leading industry organisations. Qualmark makes it easy for you to select high quality places to stay, things to do, and ways to get around. Only tourism businesses that maintain the highest standards in all aspects of business practices and meet Qualmark's comprehensive assessment criteria have earned the right to carry the Qualmark - New Zealand tourism's official quality mark. When you see a business displaying the Qualmark® symbol you can be assured that it has undergone a rigorous on-site assessment identifying them as professional and trustworthy, so you can book with confidence. For an experience that measures up to your expectations, simply choose Qualmark. Accommodation, transport, services and activities carrying the Qualmark logo have met tough quality standards and environmental criteria – earning New Zealand's official quality mark. It is your guarantee of a successful consumer visitor experience. The Qualmark system operates on a 1-star to 5-star scale. This is an independent rating system that has been set up to guide you about just what to expect. Each star level represents a combined range of facilities and service quality and standards at each Motel, Hotel or Motor Lodge. Those offering a better range and quality of facilities and services within their grading are recognised with a "Plus". Among the best available in New Zealand. Consistently achieves high quality levels with a wide range of facilities and services. Provides a good range of facilities and services and achieves good to very good quality standards. Exceeds customers' minimum requirements with some additional facilities and services. Meets customers' minimum requirements. Basic, clean, and comfortable accommodation. Those offering a better range and quality of facilities and services within their grading are recognised with a "Plus"
The very best available in New Zealand. 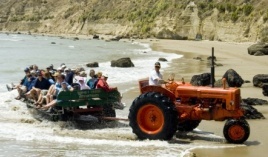 Meets or exceeds tourism standards. Applies to activity, service and transport businesses.